A finalist in the 17th Annual Jolt Product Excellence Awards! Discount pricing now at Amazon.com! Finding commonality among classes makes for effective object-oriented programming. Often, programmers express that commonality using an inheritance hierarchy, since that is one of the first concepts taught in object-oriented programming. We're going to go to the other extreme in this chapter to explore the difference between using inheritance and using interfaces. An excerpt from Interface Oriented Design. The key to maintaining a good employment outlook in IT, it seems, is to move out of programming and up into more business-oriented IT positions such as systems analyst, business analyst, project manager, or systems architect. However, a computer programmer can't just decide to become a systems analyst or project manager overnight. At a breakfast seminar here June 6 on "Factors for IT Project Success and Failure," Prof. June Verner of NICTA provided a fascinating mix of surprises and predictables related to her subject topic. The findings came from NICTA’s study of 400 projects in the U.S., Australia, and Chile, using questionnaires and interviews to discuss success and failure factors with practitioners. When we’re testing any software, we are faced with the tradeoff of cost and benefit of testing. With complex software, the costs of testing can grow faster than the benefits of testing. If we apply techniques like the ones in this article, we can dramatically reduce the cost of testing our software. This is what we mean when we say test smarter, not harder. Once we realize that we are committed to a future full of testing, it is worth exploring what testing really means. I would assert that there are several flavors of testing, and that all too often when we speak of testing we consider far too few of those flavors. 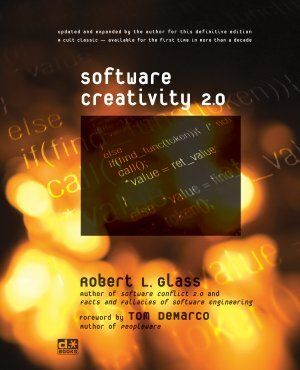 An excerpt from Software Conflict 2.0. A new installment in the developer. * Systems and Software series, exploring the connections between general systems thinking, cybernetics, and software development. Author Don Gray applies systems thinking principles--including "balancing loops," symptomatic and systemic solutions, and "shifting the burden"--to a recurring situation with one of his clients. What Is A Professional Programmer? In this article I will begin with a discussion of home-grown vs. off-the-shelf persistence solutions, including areas to consider when deciding between the two, and advice for choosing the best off-the-shelf solution to meet your needs. I will also share suggestions and advice from my own experiences with O/R mapping and persistence APIs, with a focus on "best practices." These essays by Jack W. Reeves offer three perspectives on a single theme, namely that programming is fundamentally a design activity and that the only final and true representation of "the design" is the source code itself. I’m well acquainted with such people because I display all their qualities. What we share is an honest dedication to our work--so much dedication that we abuse our own bodies, if necessary, to get the work done. How important are software design skills to a programmer? The traditional view is that programmers merely implement the designs of other people. Daylight Savings Time Software Problems: Who Is At Fault? What do you think? Are there fundamental lessons here that software designers and companies should be heeding? Are there some products or manufacturers that got this *right*, who have not experienced difficulties with the great 2007 DST transition? If so, what can we learn from their example? Recently I had occasion to write a moderately complex component that used "automation" (using the old fashioned COM term) to communicate with the Microsoft Office Excel application installed on the same computer. In this post I share several tips and tricks that may help you in your Excel automation adventures. ome people have asked us, "You've started a book publishing company? Huh? Why would you do that? I thought all the publishers are going out of business." These articles do a great job of describing why we think there is a future for new publishers to succeed by embracing the change happening right now. Editor Dan Read belatedly reminisces about the recent passage of the five year anniversary of developer. *, considers where we are today, and speculates on the future. Edward Yourdon has asked us to comment on Death March projects today. Here is my (somewhat revised) reply sent to him by email because the commenting feature on his blog is not working. The fallacy of which I am thinking is the attack on knowledge claims by a "skepticism" wielded ignorantly as a rhetorical club. It is characteristically used in business environment by managers on workers. The latest installments from chrishmorris's project series. For some reason they left IsNumeric() and IsDate() functions out of .NET. I end up needing these is almost every non-trivial project. In this post I share C# and VB.NET versions of the functions I use. I've found the BackgroundWorker to be very handy, but a little tricky to start using at first. There are some subtleties I had to overcome that are not covered in the documentation, especially in the area of exception handling. When someone needs help to step up to the plate, how do you be a good coach? All views expressed by authors, bloggers, and commenters are their own and do not necessarily reflect the views of developer. * or its proprietors.